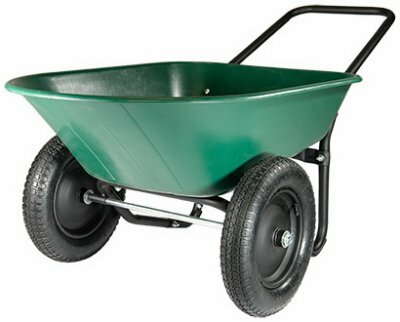 Green thumb, 2 wheel, poly wheelbarrow, 5 cuft poly tray for access & oversized loads, 300 lb load capacity, dual 14" pneumatic wheels, easily rolls over terrain, black powder coated steel frame with loop handle, loop handle for easy pushing, pulling & lifting. If you have any questions about this product by MARASTAR, contact us by completing and submitting the form below. If you are looking for a specif part number, please include it with your message.